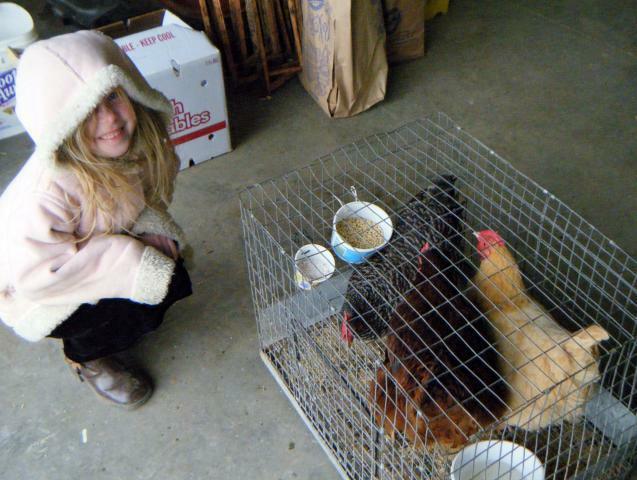 We are north of Flint, Michigan and just getting started on this chicken raising thing. I will try to update these pages so others can learn from our mistakes. Started this Sept 10, 2009 with three 18-20 weeks old pullets. 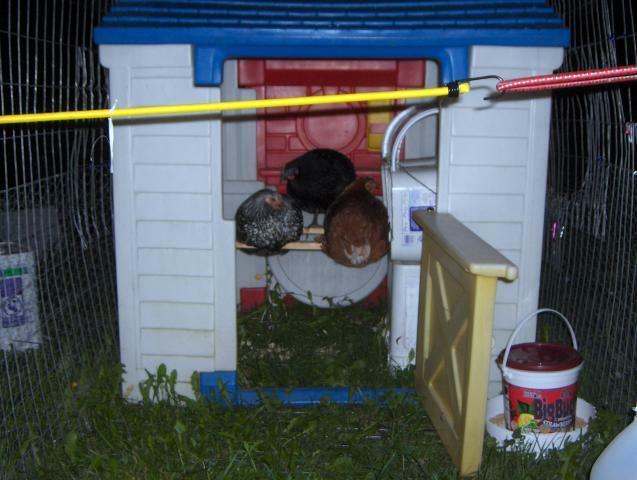 This pic is the first night....we got them out of the cat carriers and into the coop without problems....so a good start. 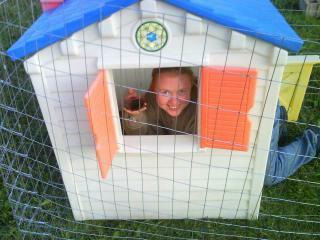 The coop is a chicken tractor using a kids plastic playhouse in a modification on a Mother Earth News plan. Will post pics when we have time- and maybe write up actual plans if anyone is interested. 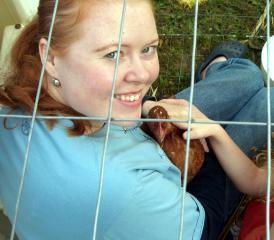 These are our girls, a Silver Laced Wyandotte, Australorp, and an ISA Brown Me holding Isa.